Born on January 27 (February 8), 1850 in Matryonovka (Pokhitonovo) village, Bobrinetsk (later Elisavetgrad) District, Kherson Province, on an estate of his father Pavel Danilovich Pokhitonov, an army officer granted nobility. The artist's mother, Varvara Alexeevna (nee Belich), came from a Serbian family which settled in the region in the 18th century. 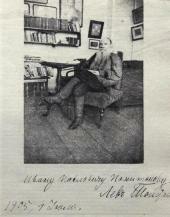 Pokhitonov studied in Elisavetgrad at Humbert private boarding school. He developed an interest in painting, copying engravings and studying the techniques of the old masters, including the icon painters. After the closing of the boarding school he attended a private gymnasium for boys in Nikolaev. After gymnasium, Pokhitonov enrolled at the Petrovsko- Razumovskaya Academy of Agriculture and Forestry in Moscow. Pokhitonov was expelled from the Academy on account of participation in a political organisation headed by Sergei Nechaev. Exiled to Matryonovka, to live there under police supervision. Pokhitonov produces first independent works: "In Steppe in Spring. Matryonovka", "Portrait of Kilya" (both in a private collection, France), "Portrait of Pavel Pokhitonov, the Artist's Father" (private collection, Switzerland). Pokhitonov studied at the Natural Sciences Department of Novorossiisk University in Odessa, developing an interest in zoology, attending Ivan Mechnikov's lectures. Pokhitonov dropped out of university. During his travels abroad together with his mother and a sick sister. Pokhitonov for the first time put up for sale, in a gallery of one of Geneva's art dealers, several of his works, which were bought up by art aficionados instantly. For some time Pokhitonov worked as an inspector of cash registers at the State Bank of Odessa. He quit his job because he had to assist his sick father in managing the family estate. 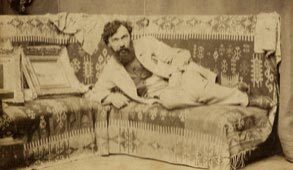 In Elisavetgrad, the Society of Itinerant Art Exhibitions ("Peredvizhniki") opened its 5th show, which greatly impressed Pokhitonov and made him wish to become a professional artist. Pokhitonov was introduced to the artist Afanasy Razmaritsyn. Late in the year he traveled in Italy visiting Milan and Rome. Pokhitonov settled in Paris, participating in the Russian Artists Mutual Assistance Society in Paris. He painted extensively under the tutorship of Alexei Bogolyubov. Pokhitonov participated in the activities of the Paris Ceramics Workshop of Russian Artists, painting landscapes on dishes and baking them in a kiln. He went sketching in Barbizon, a little village in the vicinity of the Fontainebleau forest, near Paris, which became in the 19th century a sort of magnet for landscape artists who painted from nature (the "Barbizon school" of painters). 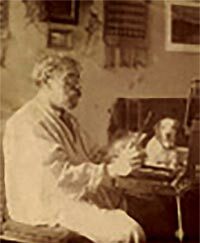 Pokhitonov lived in Paris, sketching in Barbizon, Meudon, Biarritz, Pau, and Menton. Pokhitonov for the first time exhibited his landscapes at the Salon of the Grand Palace of Champs-Élysées. Newspaper critics react favourably. Often returning to Russia, he visited Matryonovka in Kherson Province. He accomplished the paintings "Bird-catchers" (Serpukhov Museum) and "Paris. View of Avenue Fauche with the Arc de Triomphe at a distance" (private collection, France). Pokhitonov participated in the Salon of the Grand Palace of Champs-Elysees. He went to Russia for a short stay.He accomplished the paintings "Parade of French Mounted Troops" (Russian Museum) and "Pond in Matryonovka" (private collection, France). Pokhitonov participated in the Salon of the Grand Palace of Champs-Elysees. He visited Russia. He accomplished the paintings "Wedding in Matryonovka" (Otar Margania's collection), "Barbizon" (Fine Arts Museum of Turkmenistan), "Pheasants" (Art Museum, Saratov), "In a Park near a Castle", "Summer Landscape with Little Huts and a Pond" (both in Otar Margania's collection). Pokhitonov participated in the Salon of the Grand Palace of Champs-Elysees. The artist received a commission from the Russian state to create nine murals featuring battlefields in Bulgaria where the Russian army fought in 18771878. Together with Matilda Wulffert, his future wife, he went to the Balkans. He accomplished the paintings "Winter Evening. Sunset" (Otar Margania's collection). In winter, he lived in Moscow, creating the landscapes "Moscow Kremlin in Winter" and "Moscow. A Wall in Kitaigorod" (both in a private collection, France). He participated in the 2nd exhibition of the Moscow Society of Art Lovers. Early in the year Pokhitonov lived in Moscow. During that time the artists Ilya Repin and Nikolai Kuznetsov created his portraits (both at the Tretyakov Gallery). He signed a long-term agreement with Georges Petit, an art dealer, patron of arts and organiser of exhibitions. The artist represented Russia at an international exhibition in Paris organised by Georges Petit. Married Matilda Konstantinovna Wulffert. The wedding took place in Chernovtsy on 18(30) October. He accomplished the painting "Site of Fire. Paris" (Museum of Russian Art, Kiev) He painted the picture "View of Bougival" (Otar Margania's collection) and worked on a portrait of Ivan Turgenev. 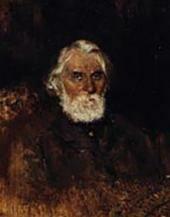 Pokhitonov worked on a portrait of Ivan Turgenev (Tretyakov Gallery). In summer he lived in Pau, a commune near the Pyrenees, painting landscapes. Daughter Vera born (died 1967). 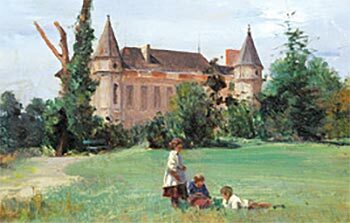 He accomplished paintings "Courtyard of a Castle" (Russian Museum) and "Parisian Suburb" (private collection, France). He made the acquaintance of Ivan Kramskoi in Menton, a commune beloved by tourists in the south of France. Kramskoi painted a portrait of Matilda Pokhitonova (private collection, France). He came to Russia for a short visit. Painted landscapes in Pau and Audois in the south-west of France. 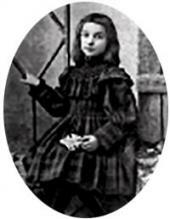 Daughter Nina born (died 1959). 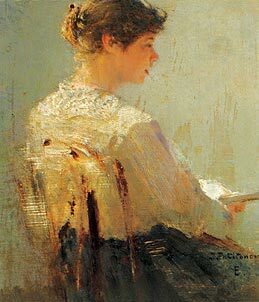 Pokhitonov accomplished the paintings "Portrait of a Woman" (Otar Margania's collection), "Early Spring. Pau. Laundrywomen on a Bank of the Gave de Pau" (Tretyakov Gallery), "Hunter" and "Landscape with Hunter and Dog" (both in Otar Margania's collection). The artist accomplished the paintings "Autumn Landscape with Cattle" (Otar Margania's collection), "Mountain Landscape with a Walker" (Otar Margania's collection), "An Outer Boulevard in Paris" (Picture Gallery, Penza). Pokhitonov lived in Biarritz, a spa town in south-western France. 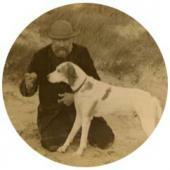 The artist accomplished the paintings "On a Hunt", "Seashore in Biarritz. Low Tide", "Spring" (Otar Margania's collection). Daughter Zoya born (died 1972). The artist accomplished the paintings "Grain Harvesting" (private collection, France) and "Landscape with Hunters" (Otar Margania's collection). He painted a portrait of Yevgenia Wulffert (private collection, France). Pokhitonov accomplishes the paintings "Apiary" (Art Museum, Nizhny Novgorod), "Landscape With a Horseman on a Road" (private collection, France), "After Sunset. 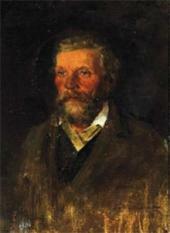 Barbizon" (Tretyakov Gallery). In June and July Ilya Repin, who came to Paris for the World Fair, painted a portrait of Pokhitonov (private collection, France). During this decade the artist accomplished paintings such as "Dusk. Hunter", "In the Environs of Paris", "Morning on the Seine" (all three in a private collection, France), "Veules[-les-Roses]. Summer" (Otar Margania's collection), "Village" and "Seashore. France" (both at the Russian Museum), "Pitcher. Wineglass and Books" (Tretyakov Gallery), "Bank of the Gave de Pau. Evening After a Thunderstorm", "After a Thunderstorm", "Evening Landscape. Bank of the Gave de Pau", "Stroll", "On a Hunt", "Summer Landscape with an Artist" (all in Otar Margania's collection). 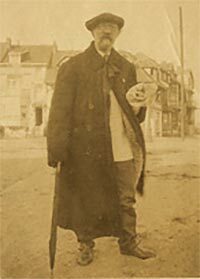 Pokhitonov visited Russia, and for the first time participated in a Peredvizhniki show (the 18th exhibition), sending his picture "In the Environs of Pau". He participated in the 1st Regular Exhibition of the Society of Artists of Southern Russia (SASR). He worked on his landscapes in Pau. He accomplished the paintings "Hunter in Winter", "After Sunset. Pau. Bank of the Gave", "Snow in Pau" (all at the Tretyakov Gallery), "The Gave River. Pau" (private collection, France), "Landscape. Veules[-les-Roses]" (Otar Margania's collection). Pokhitonov lived in Biarritz. There, he accomplished the paintings "Biarritz. Before a Thunderstorm. Lake on a Sand Coast and a Pine Forest After Fire" (Tretyakov Gallery), "Biarritz" (Otar Margania's collection). He became a member of the Society of Artists of Southern Russia (SASR). The artist definitively separated from his wife. Pokhitonov participated in the 3rd Regular Exhibition of the SASR in Odessa (15 March - 15 April). Living in Ukraine he accomplished the paintings "Evening in Ukraine" (Otar Margania's collection) and "A Ukrainian Motif" (private collection, France). In late May in Chernovtsy, he received a "permanent residence permit for anywhere in Russia"1. 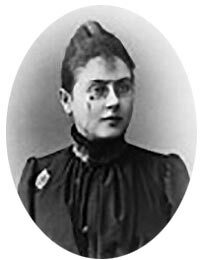 The artist goes with Yevgenia Wulffert, his wife's youger sister, to Italy. In 1892-93, he spent eight months in a city called Torre del Greco at the foot of Vesuvius not far from Naples2. Here he accomplished the paintings "Vesuvius" (Tretyakov Gallery), "Small Harbour. Torre del Greco" (private collection, France), "Torre del Greco. Naples" (Art Museum, Vyatka), "A Slope of Vesuvius", "Coral Cutters. Torre del Greco. Naples", "Surroundings of Naples" (all in Otar Margania's collection), "The Shrimp Seller. Torre del Greco" (private collection, France), "Forest near Torre del Greco. Naples" (Art Museum, Sevastopol), "Surroundings of Naples (Children Playing with Pebbles)" (Art Museum, Nizhny Novgorod), "A Narrow Street. Torre del Greco. Naples" (private collection, France). 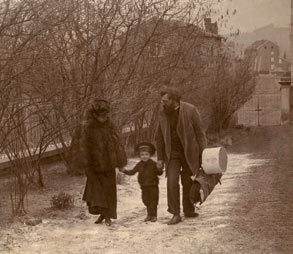 In the first half of the year he lived in Italy, and in July moved with Yevgenia Wulffert to Belgium, making their home in Jupille (near Liège), a city where his sister Anastasia with her husband I. Lazarevich settled after they left France, and where his mother lived. He painted the portrait of Varvara Pokhitonova (private collection, France). 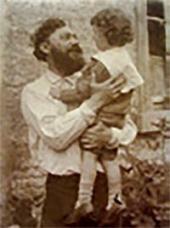 In Jupille, the artist's common-law wife Yevgenia Wulffert gave birth to their son, named Boris (30 July/ 12 August; died 1963). The child was given the family name of Wulffert. The artist painted a landscape "Alley" on the lid of a lacquer box (Otar Margania's collection). Pokhitonov moved to Bressoux (Belgium), a suburb of Liège not far from Jupille. He settles on Rue Trou-Lou- ette, and stayed at the address until 1901, travelling in Belgium and to France, Spain and Russia. He accomplished the paintings "Laundrywomen", "Trou-Louette. Winter Day. Manured Field Under Snow", "Trou-Louette in Winter" (all at the Tretykov Gallery). 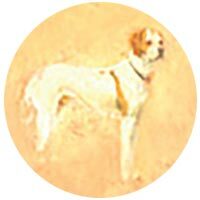 At the Parisian Salon of the Champs de Mars, Pokhitonov exhibited a series of his sketches and paintings accomplished in Torre del Greco. He participated in the 5th Regular Exhibition of the SASR, Odessa. Pavel Tretyakov acquired for his gallery 20 pictures by Pokhitonov.The artist participated in the World exhibition in Berlin. He met Pavel Tretyakov in Liège. Pokhitonov participated in the 17th exhibition of the Moscow Society of Art Lovers. Pokhitonov participated in a show of watercolours organized by the Society of Russian Watercolour Painters, Moscow. During this decade, Pokhitonov accomplished paintings such as "Normandy. View of Souverain Vander from the Emperor's Farm", "Winter Landscape" (both at the Art Museum, Saratov), "Biarritz" (Otar Margania's collection), "A Basque Woman at the Border of France and Spain" (Tretyakov Gallery), "Mother and Child" (private collection, France), "Summer Landscape with a River", "In the South of Russia. Sheep in a Cattle Camp" (both at the Tretyakov Gallery), "Bank of the Gave. Pau" (private collection, France), "The Artist's Garden in Bressoux, a Suburb of Liège", "Snare for Sparrows. (Effect of Snow)", "Flatland in Bressoux Under Snow", "Spring. Landscape with Two Figures", "Suburb of Liège", "La Panne. Evening Comes", "Under the Sail" (all in Otar Margania's collection), "La Panne. Landscape with a Horse-drawn Cart" (private collection, France), "Dusk in Winter in Ukraine" (Museum of Russian Art, Kiev), "Winter. A Stopover" (Russian Museum), "After the Storm", "Seashore", "Toiling the Field"(Otar Margania's collection), "La Panne. 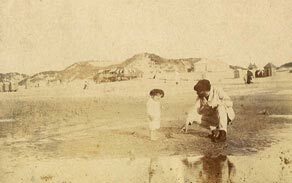 Seashore" (private collection, France), "Little Tramp. La Panne" (private collection, Switzerland), "Seacoast" (Art Museum, Kostroma), "Lady at a Mirror" (Regional Museum, Omsk), "Garden. Trou-Louette. Women Gardeners" (private collection, France), "In a Garden. Trou-Louette" (private collection, Switzerland), "Monastery" (Art Museum, North Ossetia), "Pitcher, Wineglass and Books" (Tretyakov Gallery), "Kitchen Garden. Cabbage Beds" (private collection, France), "Haymaking" (Kharkov Museum), "Woman Reading a Novel", "Heavy Sea" (both at the Russian Museum), "Mountain Landscape", "Southern Landscape", "Small Street in the South of France", "Bog", "Farewell. La Panne", "Forest Landscape" (all in Otar Margania's collection), "Pyotr Lavrovich Lavrov Reading" (private collection, France), "Hunters at the Edge of a Forest among Sand Hills", "Winter in Normandy" (both at the Russian Museum), "My Son (Portrait of Boris Wulffert-Pokhitonov)", "Spring Landscape", "Young Woman Admiring Herself in a Mirror", "Woman Worker in a Garden" (all in Otar Margania's collection). 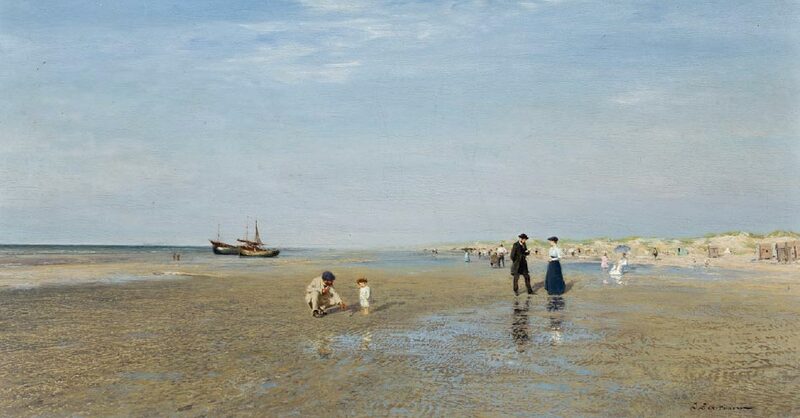 Pokhitonov participated in the 1900 World Fair (Exposition Universelle) in Paris, exhibiting in the Russian pavilion paintings such as "On a Beach", "Effect of Snow", "Springtime", "Autumn", "A View Near Ostend", "Plage de la Panne (Ostend)", "A View Near Luttich (Liège)". He received the Silver Medal in the Russian art section. The artist participated in the 11th Regular Exhibition of the SASR, Odessa, 5-27 October. He accomplished the paintings "Gardener. Belgium" (Art Museum, Odessa), "Alder in Bloom, "In Belgium" (both at the Art Museum, Krasnodar), "Aviary in Jupille" (private collection, France), "Jupille. Mill on the Maas" (private collection, St. Petersburg), "The Seine near the Louvre in Evening" (Otar Margania's collection), "Ice Harvest". Pokhitonov visited Russia. 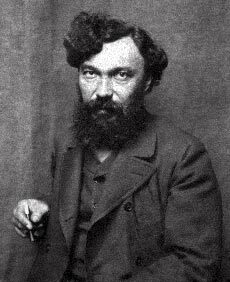 After a visit to Matryonovka he stayed with the artist Nikolai Kuznetsov in Odessa. He participated in the Watercolour Exhibition of the Society of Russian Watercolour Painters, Moscow, and in the 12th Regular Exhibition of the SASR, Odessa (29 September-28 October). Pokhitonov purchased the estate of Zhabovshchizna in Minsk province, and until January 1906 lived there most of the time, making visits to Moscow, St. Petersburg and Ukraine. He participated in the 13th Regular Exhibition of the SASR, Odessa (26 September-28 October). Pokhitonov participated in the exhibition "Mignon", organised by the Society of Artists, St. Petersburg. He participated in the 1st Public Exhibition of Paintings created by members of South Russia's Music and Theatre Society, Odessa. 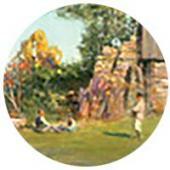 He accomplished the paintings "Belorussian Landscape. Winter Day. Zhaboshchizna" (National Art Museum, Belarus) and "Pond in Backyard. Zhabovshchizna" (Otar Margania's collection). Pokhitonov was awarded the title of Academician and selected as a full member of the Imperial Academy of Fine Arts. He accomplished the paintings "Fence at the Edge of Zhabovshchizna" (Tretyakov Gallery), "At the Edge of a Village. Early Autumn", "Snow", "In the Kitchen Garden (Man Strewing Manure)" (all a private collection in Moscow). Pokhitonov participated in the 23rd exhibition of the Peredvizhniki Society and joined the Society. He visited Leo Tolstoy at Yasnaya Polyana from 14 June to 5 July. He painted several views of the estate: "Oaks in Chepyzh. Yasnaya Polyana", "The Place where the Little Green Stick Is Buried" (both at the Yasnaya Polyana Museum), "Leo Tolstoy on the Balcony of His House in Yasnaya Polyana", "Entrance Gate, Yasnaya Polyana" (both in a private collection, St.Petersburg), "Entrance to Yasnaya Polyana" (Pushkin Fine Arts Museum), "Leo Tolstoy Near the Tree of the Poor in Yasnaya Polyana" (private collection, Switzerland); the writer's portrait - " Leo Nikolaievich Tolstoy on the Terrace of His House in Yasnaya Polyana" (Russian Museum), " Leo Tolstoy Near the Place Where a Small Green Stick is Buried" (Otar Margania's collection), as well as many portrait sketches. In January Pokhitonov returned to Belgium, making his home in Jupille (until 1913) and visiting Russia and France. The artist organised his solo show in Liège. Pokhitonov organised his solo show in Liège. Pokhitonov accomplished the painting "After a Thunderstorm" and a portrait sketch "Vera Nikolaievna Figner" (private collection, France). Pokhitonov organised his solo show in Antwerp, Belgium. Joined the Society of St. Petersburg Artists. Pokhitonov organised his solo show in Liège, Belgium. He participated in the Exhibition of Arts and Crafts arranged by the SASR, Odessa. During this decade, the artist accomplished such paintings as "On a Hunt", "The Hunter", "Summer Landscape with Cows", "Spring Motif. Near a Watering Hole. Zhabovshchizna", "Spring Flood. Zhabovshchizna. Cowshed", "A Pointer Called 'Krotky'", "Hunter", "Landscape Under Snow", "A Gardener. Zhabovshchizna" (all in Otar Margania's collection), "Hunt. Zhabovshchizna. Belarus" (National Art Museum, Belarus), "In Winter", "Zimka" (Little Winter), "Pyotr Ivanovich Shchukin Walking" (all at the Tretyakov Gallery), "Apple Trees Blooming. Zhabovshchizna", "Hunting for Woodcocks during Their Mating Season" (both in a private collection, St. Petersburg), "After Rain. 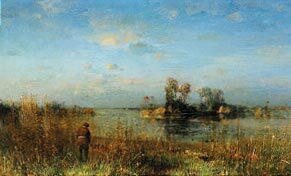 Zhabovshchizna" (private collection, Switzerland), "Overgrown Bog in Spring. Zhabovshchizna", "Foggy Morning. Jupille" (both in a private collection, Switzerland), "Laundrywomen by a Pond. Zhabovshchizna", "Old House in Zhabovshchizna", "Panoramic View in Zhabovshchizna", "Shooting at Snipe", "Landscape. Belgium" (all in a private collection, France), "Woman Tending a Garden" (Tropinin Museum), "Transplanting Flowers" (Otar Margania's collection), "Estate. Zhabovshchizna", "Winter. Village. Zhabovshchizna" (both at the Russian Museum), "Harvesting Potatoes. 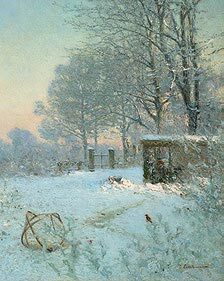 Zhabovshchizna" (Picture Gallery, Perm), "Dusk in Winter in Ukraine" (National Art Museum of Ukraine, Kiev), "A Hunt" (National Art Museum, Belarus), "Landscape. Belgium" (Art Museum, Bashkiria), "Landscape. Belgium" (Museum of Russian Art, Kiev), "Winter" (Art Museum, North Ossetia), "Landscape" (Art Museum, Dnepropetrovsk), "Winter Landscape" (Art Museum, Saratov), "Old Pear Tree. Near Liège" (Voronezh Museum), "Landscape in Flanders (Cows on a Flooded Meadow)", "Wheat Field", "View from La Panne", "Small Sand Hill in Evening" (Otar Margania's collection). Pokhitonov came to Moscow to organise his solo show in the Lemercier Gallery, displaying about 60 pieces. Works from the show were acquired by the Russian Museum, Museum of the Academy of Fine Arts, and private collectors. The artist accomplished the paintings "Self-portrait of the Artist at Work", "Street Lantern. La Panne", "Side- street in Jupille. Moonlit Night" (all in a private collection, France), "Summer Day", "An Open Space Under Snow. Minsk" (Otar Margania's collection). Pokhitonov's solo exhibition in Liège. He accomplished a painting "Apple Trees in a Garden in Jupille" (Otar Margania's collection). Before World War I, the artist came to Russia and stayed in St.Petersburg. Pokhitonov participated in the 43rd exhibition of the Peredvizhniki Society: from 26 December 1914 through 25 January 1915 - in Moscow; and through 14 February in Petrograd. 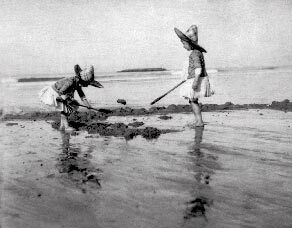 In summer, 1915 he stayed with his friend L. Ugrinovich on the latter's Nikolskoe estate in Yelisavet- grad district, Kherson province. 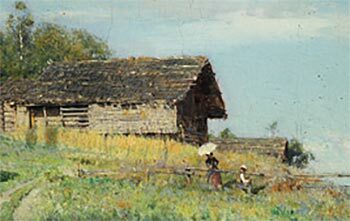 Here, he accomplished the paintings "Hunters at Rest in Wild Grass on the Steppe" (Otar Margania's collection), "Old House in Nikolskoe" (Museum of Russian Art, Kiev), "Village. Peasant Woman with Buckets. Nikolskoe" (Otar Margania's collection), "A Village on the Steppe. Nikolskoe" (private collection, France), "A Strip of the Steppe" (Art Museum, Irkutsk). Pokhitonov participated at the 3rd show of sketches, drafts and drawings, from December 1916 in Petrograd; in the 45th "Peredvizhniki" exhibition from 20 December 1916 through 19 March 1917 in Moscow, and from 12 February through 19 March 1917 in Petrograd; and in the 14th exhibition of the Petrograd Society of Artists which opened on 15 April 1917. He left St. Petersburg for Ukraine, and from there moved to Kuban. Pokhitonov lived in Kuban - in Yekaterinodar and in the Cossack village Goryachi Klyuch. He took an active part in the life of the town community, and in the art group of the Yekaterinodar Picture Gallery, founded and supported by his friend Fyodor Kovalenko (1866-1919). Pokhitonov was preparing his solo show (cancelled due to Kovalenko's death). He accomplished paintings such as "Courtyard Under Snow. Goryachi Klyuch" (private collection, France), "Goryachi Klyuch", "Empty Cart" (both at the Art Museum, Krasnodar), "Portrait of Yevgenia Wulffert (unfinished)" (private collection, Switzerland), "Red Army Soldier Ivan" (Otar Margania's collection). Pokhitonov returned to Belgium to settle near Liège. During this decade, Pokhitonov created the sketches and paintings: "Ninie in an Empire Armchair", "Nin- ie with Bare Arms" (Otar Margania's collection), "Farmstead Amid Fields", "At the Edge of a Forest", "Heavy Sea. La Panne" (all in the Russian Museum), "Coal Mine in Jupille", "Boules" (both in Otar Margania's collection), "Foggy Morning. Jupille" (private collection, Switzerland), "Memories of a Journey from Brussels to Liège", "A Nook in La Panne", "Sand Hills. La Panne", "Quiet Sea. La Panne", "Evening Comes. La Panne", "Sea at Low Tide. La Panne" (all in a private collection, France), "Jupille. Mill on the Maas", "Goryachi Klyuch" (both in a private collection, St. Petersburg), "Blooming May", "Landscape with Mowers" (both at the National Art Museum, Belarus). Pokhitonov lived in Belgium in La Panne. He accomplished the paintings "Diggers. La Panne" (1920), "Marine Landscape. La Panne", "Landscape" (all in a private collection, France), "Spring Day. Hunters with Dogs" (private collection, Switzerland), "View of Koksijde from a Window. La Panne" (private collection, Moscow). He visited France, meeting with his daughters in Paris, and in 1920 moved to Brussels, settling on Rue du Trone. He worked on landscape sketches and paintings in Brussels and its surroundings. He accomplished the paintings "Sidestreet in a Distant Borough. Boitsfort", "Rowan Tree in Boits- fort", "Returning Home after a Thunderstorm (Yellow Alley)"; "Springtime Works in La Hulpe" (all in Otar Margania's collection). Solo show in Liège.Pokhitonov accomplished the paintings "Landscape with Boats" (Otar Margania's collection), "Reading" and "Reading in the Evening" (both in a private collection, France). Solo show in Antwerp. He created the sketches "A Nook in Our Garden" and "Garden. View from a Window" (both in Otar Margania's collection), "Primroses" (private collection, France), "Chinese Asters" (the artist's last work, present whereabouts unknown). Pokhitonov died in Brussels on December 23. Buried in Bressoux near Liège. Pokhitonov's posthumous exhibition in Liège, featuring about 100 works. The document is in the private archive of A. Eilenstein von Wulffert. In the literature on Pokhitonov, including academic literature, the travel is dated to 1891. The documents, however, indicate that the artist went to Italy in 1892. 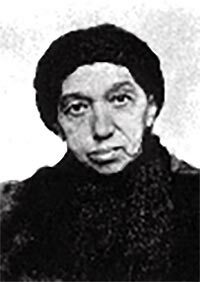 This year was referenced, in particular, by Yevgenia Wulffert, who lived with Pokhitonov in Italy at that time (Wulffert-Pokhitonova, Yevgenia. Biographical Information About the Artist Ivan Pokhitonov. Russian State Archive of Literature and Art. Fund 646. Catalogue 1. Item 270). The available information about Pokhitonov's life at that period, too, suggests that he lived in Italy in the second half of 1892 - early 1893. None of the works painted in Italy were dated. Ivan Pokhitonov with his sister Anastasia. Varvara Pokhitonova, the artist’s mother. Matilda Pokhitonova, the artist’s first wife. 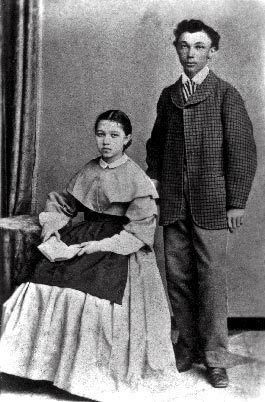 Vera and Nina Pokhitonov, the artist’s children. 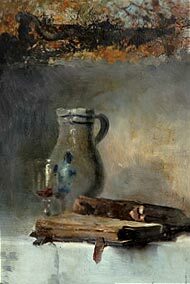 Pitcher, Wineglass and Books. 1880s. Ivan Pokhitonov, Yevgenia Wulffert with their son Boris returning to Trou-Louette. Ivan Pokhitonov with his son Boris La Panne. 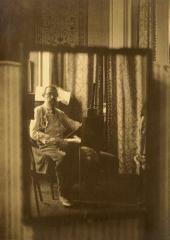 Ivan Pokhitonov in his house on Trou-Louette street, Bressoux, under Liège. Ivan Pokhitonov with his son Boris. 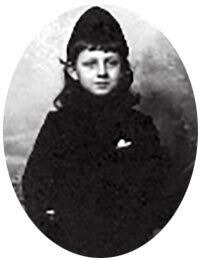 Boris Wulffert-Pokhitonov, the artist’s son. Zoya Pokhitonova, the artist’s daughter. At the Edge of a Village. Early Autumn. 1900s. Ivan Pokhitonov at his easel in La Panne. Ivan Pokhitonov in his St.Petersburg apartment. Coal Mine in Jupille. Early 1920s. Ivan Pokhitonov in La Panne. Ivan Pokhitonov in his studio. Reflection in the mirror.